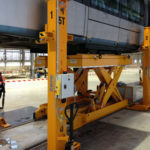 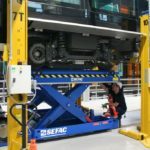 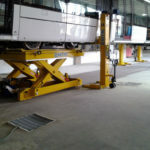 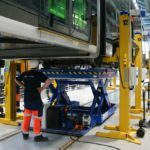 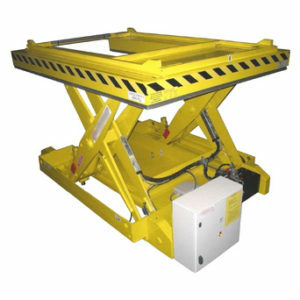 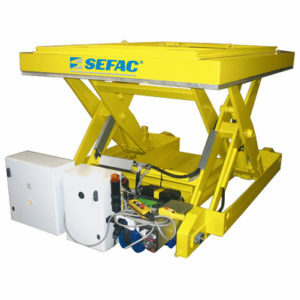 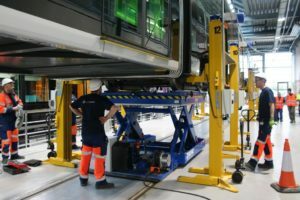 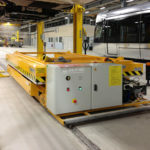 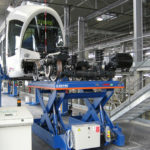 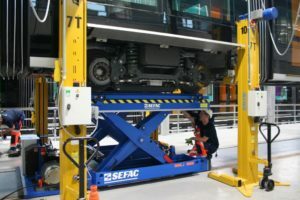 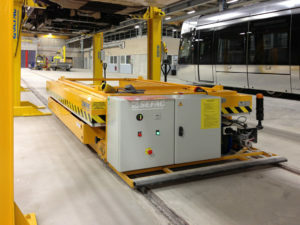 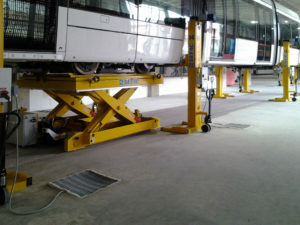 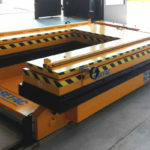 With a 6, 7 or 8 tons lifting capacity, platform lifts (so called lifting tables) have to be used to support, to lift up, to lift down and to move horizontally and laterally a bogie during maintenance operations. 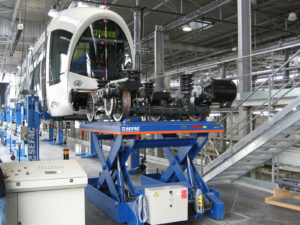 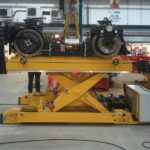 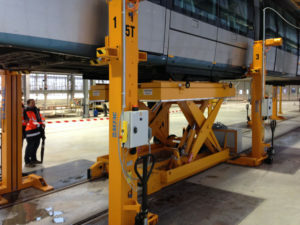 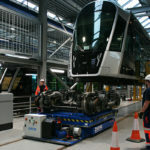 The platform lifts move directly on the rails inside the workshop. 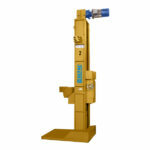 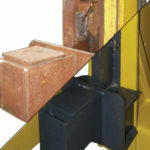 This displacement can be either manual or motorized. 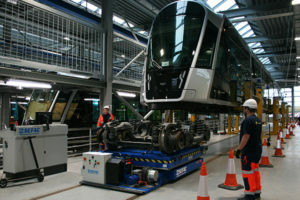 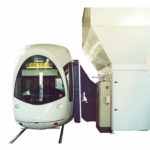 In this case, the operator pilots the lift using a wired remote control and/or a wireless remote control (available as an option). 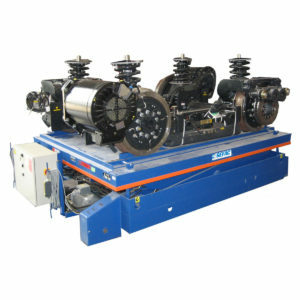 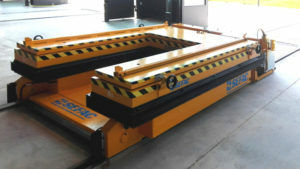 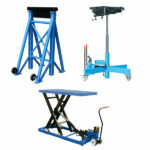 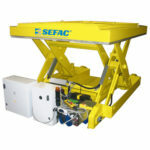 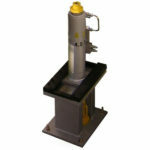 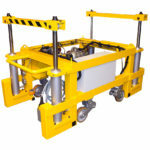 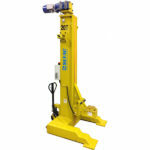 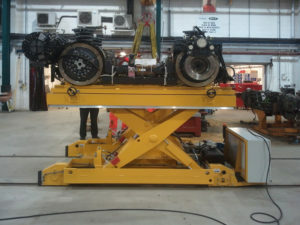 The lifting table is delivered with a ball transfer plate as standard enabling an easy move of the bogie.